Nafsika Hotel is a friendly family - run hotel, situated in Psaropoula, Akti Kanari, a central location of Rhodes town. 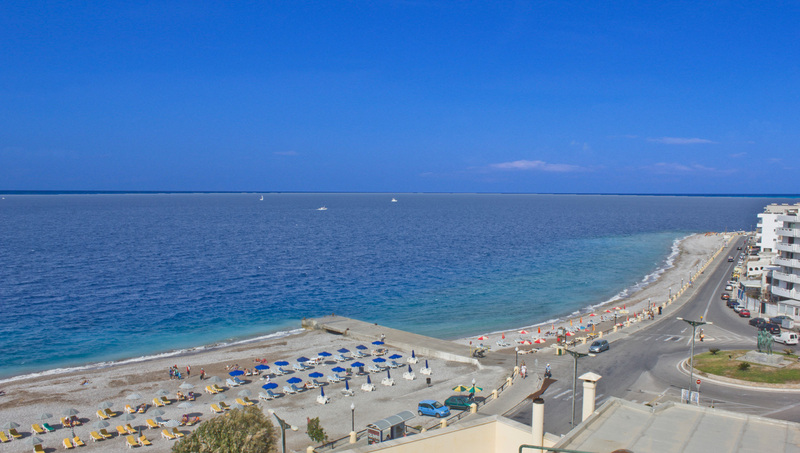 It is only 50 meters away from the beach and very close to good restaurants, cafes and bars. The Aquarium, the Casino, the Mandraki Harbour, the Old Town and all famous city attractions are in a short walking distance. Nafsika Hotel has 40 rooms, all recently renovated. It offers a cozy stay in a cordial and relaxed atmosphere. It is an excellent accommodation choice for travelers who would like to discover Rhodes island and Rhodes city center. The hotel took its name from the princess of Phaeacia, Nafsika (Nausicaa). According to the Homer’s Odyssey, Nafsika helped the stranger Odysseus, who begged for aid, when he was found shipwrecked on the coast of the island. She gave him clothes and sent him to her father’s palace where he was welcomed as a guest and was provided with a ship to go back to Ithaca. The name of the hotel symbolizes the kindness and the hospitality to all people who arrive at a place different from their homeland.